Senia explained that her "tattoo relates to a lot of similar themes and feelings to that of my work, though in and of itself it is not literary." She adds, "I tend to write poetry that explores the transmutation of feelings and experience into landscapes and vice versa." 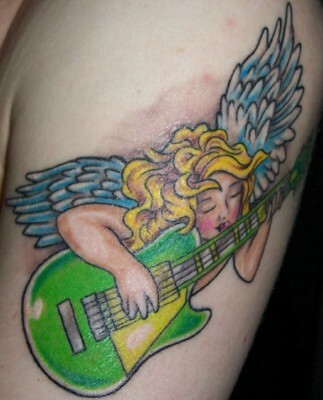 "I got this done at [Dare] Devil Tattoo in SoHo. 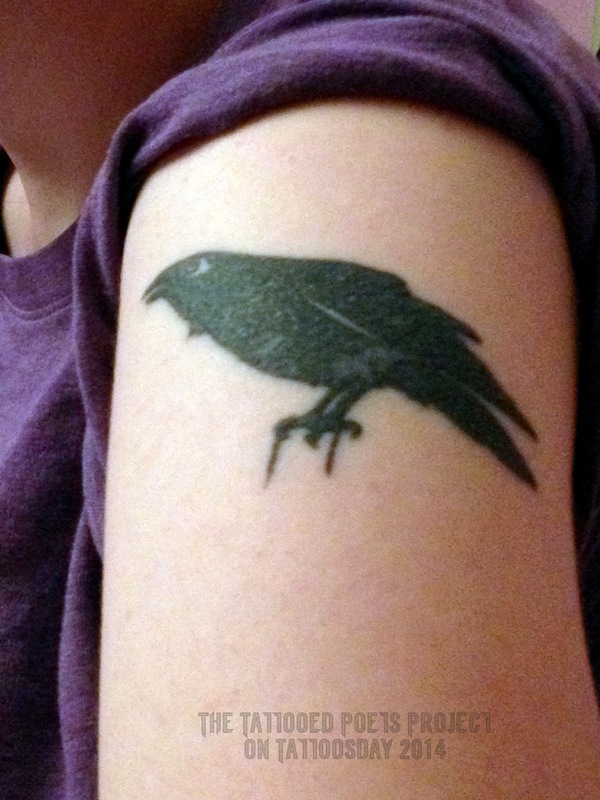 I had been wanting to get a tattoo of a raven for a while, and volunteered at a book store around the corner. I saw a handcrafted notebook we were selling with a depiction or a raven on it and I had an intrinsic sense that today would be the day I got my tattoo. I texted my girlfriend at the time and told her to meet me when my shift ended. I looked through a few pages of raven pictures and picked one whose shape spoke to me. I wanted it to be a bit more stylized but mostly realistic. The most important detail to me though was the eye, a spiral. I chose the raven as a symbol of intelligence and wisdom. Ravens as creatures are smart enough to open velcro and buttons, mimic speech, and play pranks on each other. Metaphysically, ravens are thought to be omens, messengers, and purveyors of hard truths. 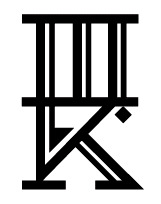 They are a symbol of Odin, who hung from Yggdrasil and gained knowledge of the runes and enlightenment in exchange. The spiral within its eye is both an infinite void and a sign of its magical acumen." In the land of princes I was the no life king. In the land of shadows I was the tangled tree roots. perched atop steeples that cried into the night. I was there and the darkness eddied around me. In the land of stars I was a burned out candle. I'm sorry that the riddles have empty answers. I could reach through the earth and feel every heartbeat. I was a swamp. The darkness eddied around me. men watched from iron houses as I laid waste to their lands. When I ate their horses none of them found the strength to cry. never let you get close. In the land of desire I was a pear tree. was hungry and it was the only option. When I was young, life was as short as my excuses. I'm sorry everything turns back to dirt. I'm sorry there's more meat than reasons. I'm sorry the dead only talk in a whisper. I'm sorry their secrets all end the same way. everyone cries. I'm sorry apologies are never enough. Thanks to Senia for sharing the poem and tattoo with us here on Tattoosday!